Platforms such as Android and iOS (iPhone and iPad) control the bulk of the mobile market. Chances are, you or someone you know owns at least one device powered by one of those two platforms. No matter which platform you play on, there are a few commonly shared traits. More than likely you are playing using the touch screen only (i.e., not using a bulky Bluetooth controller accessory). You have Internet access either via cellular data or via local Wi-Fi. If you are reading this then you are obviously a Star Wars fan. Being a mobile gamer today and a fan of the legacy in a galaxy far, far away is a good thing to be. The question is, has it always been this good for fans of the story George Lucas started? 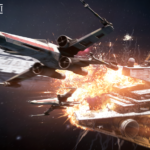 Star Wars fans have some of the widest choices in games to play. From collectible card games to action affairs and role-playing games, and everything between. 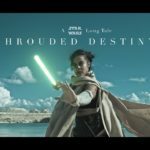 Star Wars holds a decent reputation within many categories, you would be hard pressed to find one that Disney’s franchise is not standing tall in. You would think that the touch screen only interface would keep developers from attempting action-based games involving the Star Wars franchise. You would be wrong. Crossovers within the mobile world of Star Wars are common. From the various Lego Star Wars games that retell some of the stories from the movies in unique ways to two Angry Birds crossovers, the franchise proves it is versatile. The Lego Star Wars games play best with a controller of some sort, if you don’t have one available you can still play and enjoy the games but it will be diminished due to your fingers blocking parts of the screen. Not all Star Wars mobile games have been a hit though, some are just weird. For example, the crossover with the Angry Birds franchise mentioned already. The same can be said of the Star Wars Pinball game by Zen Studios. While a good pinball game, it is still “out there” for a Star Wars crossover. More recently we saw the release of Star Wars: Puzzle Droids by Disney. 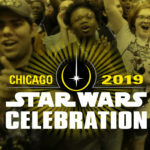 Here fans are given a bit of insight to BB-8’s memories and even are treated to some new scenes that expand the overall story of the franchise. Disney used to have a Star Wars slot machine, but it has been discontinued. This is indeed sad news for fans wanting more of that “good versus evil” action from the films. However, iGaming operators have a plethora of slot machines that feature similar “good versus evil” storylines. For example, Sun Bingo doesn’t just feature online bingo, it also has slots such as Big Bad Wolf which pits the three pigs against the evil wolf that wants to blow their house down. Razortooth is set in the prehistoric past as you take on the life of the fabled creature attempting to stave off extinction, one more meal at a time. 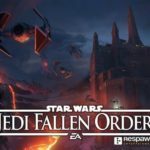 While Disney has taken their lightsaber and gone home, fans of the underlying story can still find other sources to quench their thirst for adventure. Collectible card games and base-building genres have been touched by Star Wars with decent fanfare. Konami tried their hand with the CCG market and Star Wars: Force Collection. Using technology to bring the battles to life, Force Collection features over 400 character cards to collect. 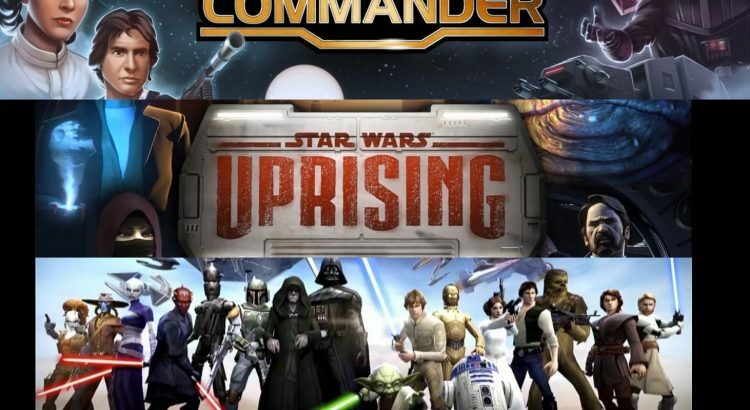 Base-building games saw Star Wars infiltrate their ranks with Star Wars Commander by Disney. Building your base is only part of the challenge here, you must defend it against the enemy. Depending on the side you choose that enemy could be the Rebels or the Imperials. 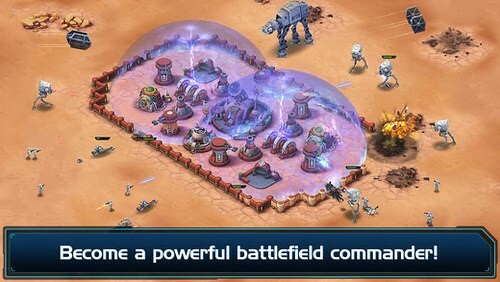 Star Wars Galaxy of Heroes is a more recent role-playing game based on the franchise. 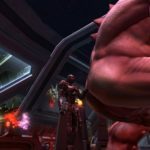 While not on the same level as Knights of the Old Republic, Galaxy of Heroes holds its own for varied reasons. There is more focused gameplay and the interface is designed for mobile from the ground up. 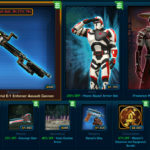 According to ThinkGaming.com Star Wars: Galaxy of Heroes holds nearly 28,000 installs on iOS and has grossed Electronic Arts (the publisher) nearly $170k in revenue. Star Wars: Knights of the Old Republic (KotOR) is regarded as one of the shining moments in Stars Wars games across all platforms. 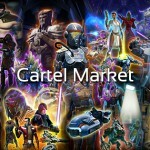 According to MakeUsOf.com, KotOR is one of the best Star Wars games ever created and holds high place for western created role-playing games. 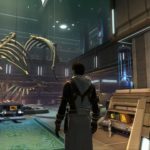 We must somewhat agree as KotOR is almost pure gold from start to finish – storyline, gameplay, graphically, this game has it all if you are an RPG fan. And it’s available for Android and iOS. 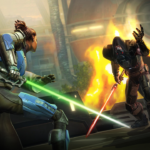 Avoid unlicensed mobile games based on Star Wars. They are not quality releases for the most part and not worth your time, especially when there are officially licensed games available. Just about any genre that Star Wars has touched has turned fans onto it, made money, and expanded the fun of being a fan. Some titles are “interesting” choices such as pinball but even there, the quality of the Star Wars franchise pushes forward.